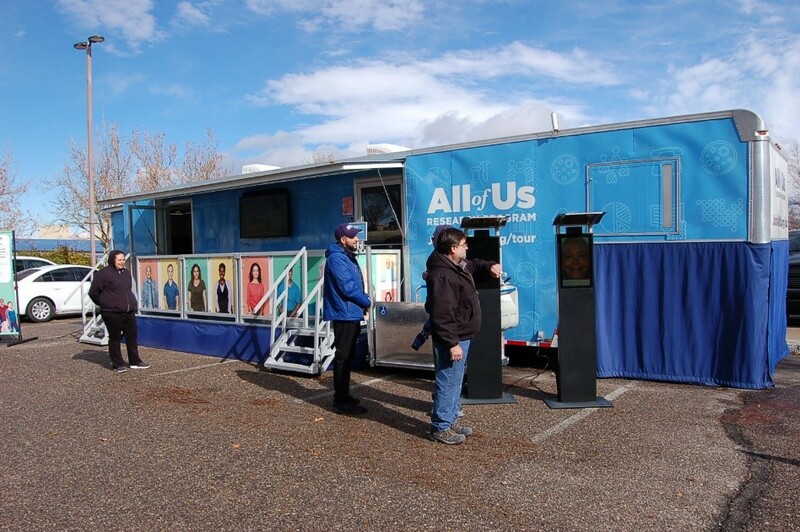 The National Institutes of Health's All of Us Research Program recently visited the Raymond Murphy VA Medical Center in Albuquerque, New Mexico as part of a nationwide research program gathering information to help medical professionals understand more about why people get sick or stay healthy. All of Us Research Program senior engagement manager, Fatima Shahzad, and the research team from the program's coordinating center enrolled more than 70 Veterans in just one week. 'By the second day of recruiting eligible participants, we were above our goal and this is a tribute to all the work that took place behind the scenes before the research team arrived,' said Shahzad. The research team placed flyers throughout the hospital, used New Mexico VA's (NMVAHCS) social media outlets, and worked with the health care system's public affairs office to distribute news releases prior to the event. The visit to the Raymond Murphy VA Medical Center was the first time the All of Us Research Program conducted a week-long enrollment event to reach veteran communities. 'This is a mobile exhibit that travels to educate people on precision medicine. The goal is to enter underrepresented communities and give everyone an opportunity for a voice - including Veterans,' said Luis Astacio, member of the All of Us journey.